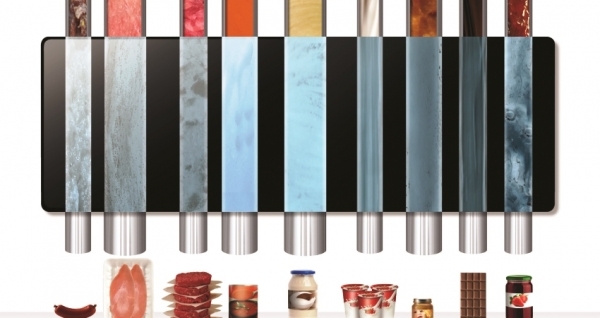 X-ray inspection technology’s wide capabilities and flexibility can play a major role in delivering high quality products that enhance and protect brand reputation, says Ciaran Murphy, quality control business manager, Ishida Europe. Brand reputation is hard won and easily lost. Companies invest a great deal of time and effort in establishing the appropriate image for their product in order to gain consumer trust and confidence, but all this hard work can easily be wasted overnight through just one error or oversight. Consumers are becoming increasingly focused on quality and have high expectations of the products they buy. Research by Harris Interactive has revealed that 55 percent of people would switch brands following a product recall, even if only temporarily; and 21 percent of people said they would actively avoid any product made by the manufacturer at the centre of a recall, not just the recalled product itself. What’s more, the growth of social media means that consumers now have the opportunity to easily and quickly share any dissatisfaction with a wide audience. Retailers too are very conscious of their reputations with their customers and are therefore setting increasingly high standards for their suppliers. One major retailer in the UK is already effectively insisting on the use of x-ray machines in order for suppliers to meet its stringent quality requirements. The cost implications of any type of product quality issue can also be significant. Alongside the impact on sales and the loss of brand reputation, there are also the practical costs such as large retailer fines and the logistics of any product recall. Therefore, for food manufacturers, the need to deliver product consistently of high quality has never been more important. At the same time, markets are becoming increasingly competitive, requiring companies to focus just as much on maximising efficiencies and throughput in their operations. Automation of many manufacturing and packing processes help them achieve this but less human intervention on the line means fewer opportunities to pick up on something that has gone wrong. All of this means the selection of the correct inspection equipment is an increasingly important factor in ensuring companies are able to maintain the highest quality standards. In terms of the need to prevent foreign bodies in products, the focus was initially on metal detection, with the major risk deemed to be from the many different metal components coming into contact with a product during the production and packing process. However, the potential for contamination is much wider than this and there are several non-metallic contaminants—glass, plastic, stone and rubber for example—that are also likely to cause a significant quality issue. Products that are picked and packed fresh from the ground can provide particular challenges. Shell fragments in processed seafood are another example where enhanced quality monitoring may be necessary. A particular specialist challenge is detecting bones in meat and poultry fillets. 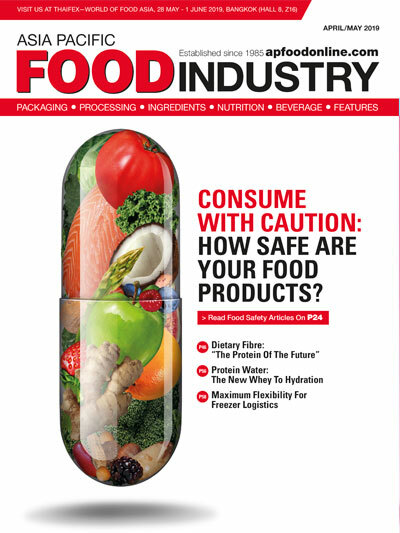 In these scenarios, it is the ability of x-ray inspection systems to spot a wider variety of foreign bodies, including all the above-mentioned items, that is leading to the technology being adopted for many food and non-food applications. X-ray inspection involves the projection of relatively low energy x-rays onto a sensor or detector. As the product or pack passes through the x-ray beam, only the residual energy reaches the sensor. Measurement of the difference in the absorption level of the x-ray energy between the product and a foreign body enables the foreign body to be detected. It is important to stress the absolute safety of this inspection process. There is no risk of radiation contaminating either the food itself or a machine operator working in close proximity to the machine. In fact, levels of radiation that any line operator is likely to be exposed to are much lower than when flying in a plane. 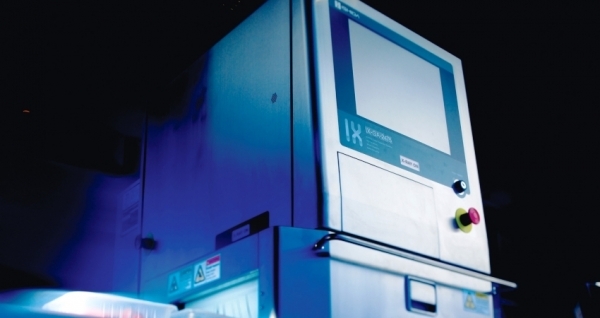 Another key benefit of x-ray technology is its ability to work undeterred in even the harshest of environments, such as humid, wet and temperature-controlled atmospheres. Foreign bodies can be detected through aluminium foil and also in tins, regardless of the temperature or the salt and water content of the product—which is not the case for metal detectors. 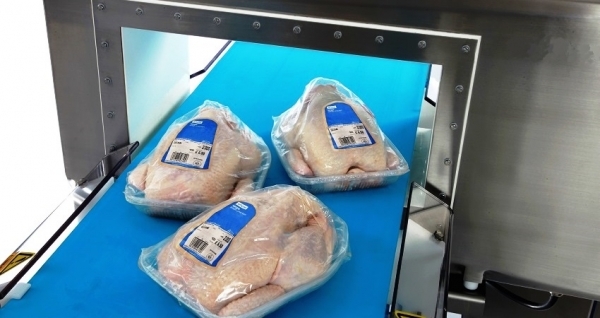 X-ray inspection systems can handle a variety of pack formats including top sealed and thermoformed trays, flexible bags, as well as unpacked and bulk product. Equally important, high quality producers are acutely aware that product quality is more than just the prevention of foreign bodies. A deformed product, a missing item, or even a damaged pack are all quality issues that can irritate consumers and generate complaints. And it is in this area that x-ray technology can demonstrate even greater versatility through the ability to spot other quality issues. It can detect broken, undersized or missing items in packs, be that six biscuit bars instead of seven, or a row of ice lollies with one wooden stick missing. Deformed product, for example a beef burger that has not been properly manufactured or a broken biscuit, and deformed packaging, such as dented tins, are other faults or imperfections that can be identified. So are underfilled compartments in ready meals, product with cracks or fissures, grains stuck together in granular or powder products, and missing metal clips. Additional quality control applications that the technology can undertake include product grading by length, and checking the presence of bottle caps and fill-levels. X-ray inspection systems can also carry out effective weight estimation. One of the advantages in this area against a more traditional weight check (i.e. a checkweigher) is that they can spot a problem which weighing alone could not detect. If a pack is supposed to contain four pieces of meat of approximately the same weight but one piece is considerably over weight and one considerably under, then the total weight of the pack may still be correct but the end-consumer will not be satisfied with the overall pack contents. A further significant benefit of x-ray inspection is its ability to offer full traceability. 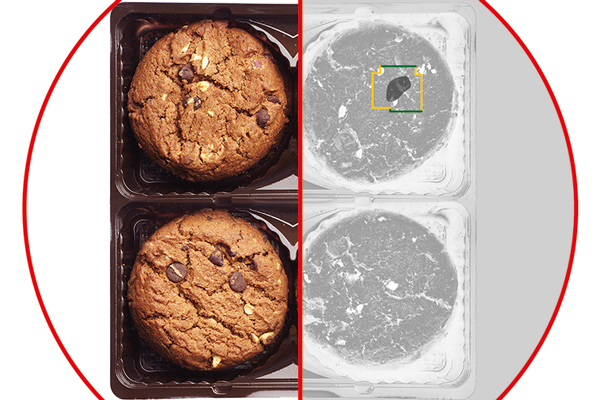 In the event of a complaint, data management systems linked to x-ray inspection and labelling can enable retrieval of the x-ray image of a particular pack, establishing beyond doubt whether or not there was a problem. The fact that every image is captured means false claims can be quickly rejected. In selecting an x-ray system from the increasingly wide choice of models available today, it is important for manufacturers to carefully assess their requirements, taking into account areas such as the products to be inspected, the most frequent type of foreign bodies to be searched for, and the length and frequency of production runs. One of the first considerations will be whether a single or dual energy machine is required. A single energy inspection system uses one x-ray sensor to scan the product. This means there needs to be a reasonable variation in the density of the product and the foreign body in order for the machine to successfully identify it. Dual energy systems use two x-ray sensors to generate two images and therefore a much better contrast, which enables them to more easily pick out low density foreign bodies. One of the most common applications for this technology is to detect small pieces of bones in poultry fillets. Another is to identify (low density) porous stones in nuts. Many x-ray systems are capable of finding much smaller foreign bodies than metal detection systems, for example down to 0.3 mm in some instances. Advanced Genetic Algorithm technologies can also enable a machine to be trained to better identify specific objects. However, sensitivity levels need to be applied with care. An over-sensitised x-ray machine may lead to exceptionally small fragments, which are harmless to the consumer, being identified. This can result in unnecessary product or packs being rejected—and potentially wasted—as well as increased line stoppages. It is important also not to become confused between the power and energy levels of different machines. A machine that utilises the low energy spectrum coupled with the ability to a run higher current (and hence an overall higher power in terms of wattage) is better able to detect low density foreign bodies. However, a low power system (low overall wattage) will often run a higher voltage but at a very low current which will significantly impact on the machines ability to reliably identify some of the more common low density contaminants. The type of product being inspected may also dictate where an x-ray inspection system is placed on the line. Typically the machine will be deployed to inspect finished packs as a final quality check. However, it may be more appropriate to inspect product before it enters the processing and packing operation, for example salad, vegetables, and nuts; or to inspect for metal pieces in meat carcasses or bulk cheese to avoid damaging the cutting blades. 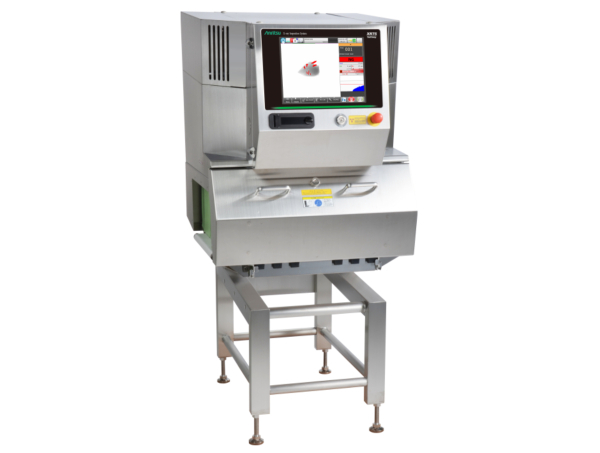 For certain applications, it may be necessary to install two x-ray machines, one to carry out inspection of bulk product and another for finished packs. Companies should therefore discuss their specific requirements with a trusted supplier, and assess the equipment available in terms of its performance capabilities and cost of ownership to ensure the selected model can deliver the right levels of sensitivity, performance and efficiency. As part of this process, an element of futureproofing may also be worthwhile with a machine that has the ability to meet higher product quality standards that may be introduced in the future. Businesses have long recognised that product quality is a vital element in their continued success. However, in today’s highly competitive markets and an environment where problems can be more easily publicised and shared, the need to provide effective inline quality inspection has taken on even greater significance. The versatility of x-ray inspection can provide valuable support to companies and brand owners who are intent on maximising quality to enhance and protect their reputations.